Available to try in our Poole showroom. BH17 7AE. Fall asleep each night safe in the knowledge you will awake each morning feeling refreshed and revitalised with the OBW's Drift 1000. 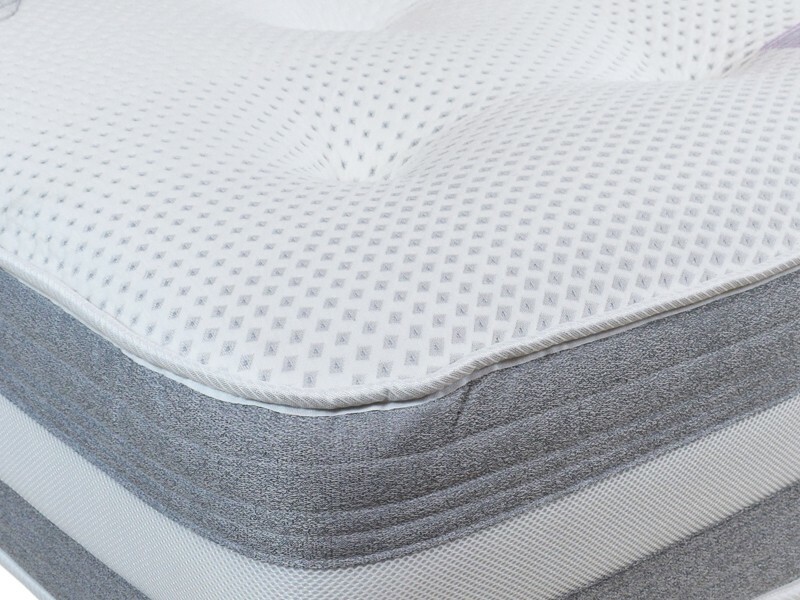 The sumptuous mattress features 1000 individual pocket springs combined with an extra deep layer of zero gravity pressure sense foam finished in a luxurious hand tufted knitted mattress panel. 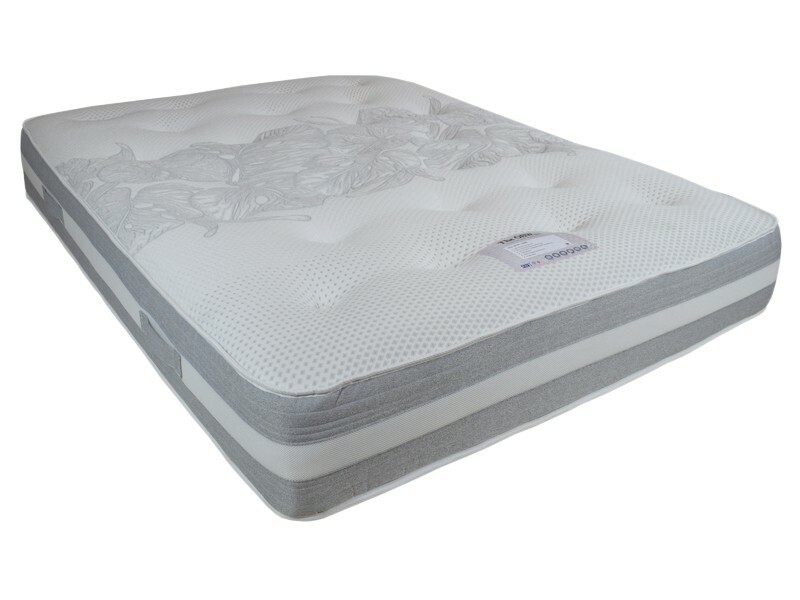 The pocket springs and zero gravity foam contour to your body shape, offering fantastic comfort and support where you need it most, helping to relieve sleep related aches and pains and pressure build up. finished with a airflow boarder vents that allow air to circulate keeping the mattress fresh. Flag stitched side handle aid easy positioning. Drift away to a happy place and wake up fresh to face the day ahead. This product carries a 5 year manufacturing warranty. Should any manufacturing defect occur within 5 years of you receiving the product, the warranty covers you for a replacement. This also includes a 1 year full guarantee, so should any defect occur in that first year, you are entitled to a replacement free of charge. An edge guard provides support round the edge of a mattress to provide unbeatable levels or support and durability. 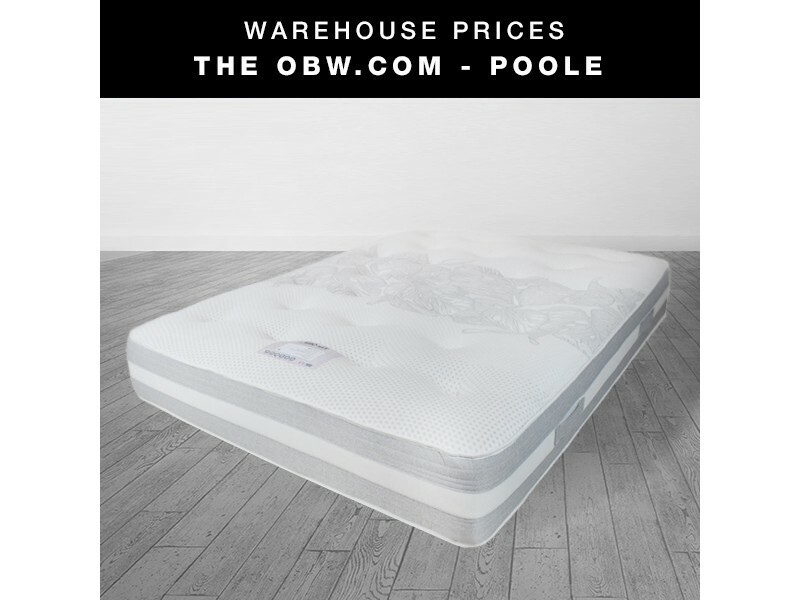 A mattress with an edge guard provides support right to the edge of the mattress, maximising your available sleeping surface. This is hypoallergenic Anti-allergens and sanitised material ensure this can be used by allergy and asthma sufferers without risk. Anti-dust mite technology helps prevent bedbug infestation. Easy to care for a non-turn mattress never requires flipping just rotating 180° once in a while. Almost all the best mattresses now (including memory foam and latex mattresses) are one-sided. This product carries a 1 Year guarantee from the manufacturer. Any defect caused by manufacturing, rather than improper usage/assembly etc, is covered for a replacement for up to a year from the date you received the product. Sealy’s unique Tencel Fibres are eco-friendly, and manage temperature. Tencel fibre mattresses absorb excess moisture and release it away from you to ensure a cool, dry sleep. Hand tufting is a finishing technique traditionally used on mattresses to join the fillings of the mattress to the surface material. 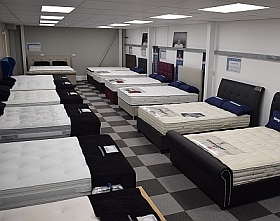 A tufted mattress can generally feel a bit firmer and given even support across the surface of the mattress as the surface fabric is pulled tight. Rest assured in the knowledge that this product has been manufactured in the UK, meeting all British safety regulations and standards. Just Taken Delivery Of This Yesterday And I Can't Say A Bad Thing About It, Went To Dreams First Then Bensons And Was Preparing Myself To Spend Around £700 For A King Size, Am I Glad I Found This Place!! Saved Almost 50% And If I'm Honest It Doesn't Feel Any Different To What I Was Considering Buying Elsewhere! !